Home / Le blog / Evaille ? What is this strange word ? Evaille ? What is this strange word ? Current rains brought river levels. 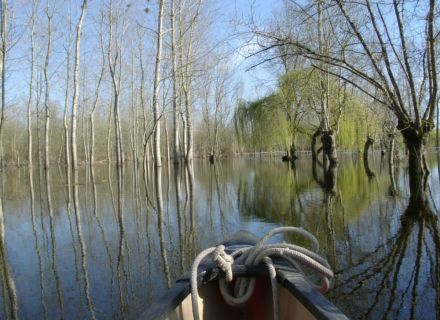 Waterways of the Marais poitevin did not escape the rule. 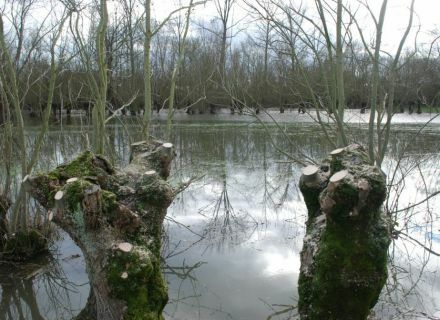 Water is quietly out of bed to flood the “Marais Mouillé”, especially around Vanneau-Irleau. 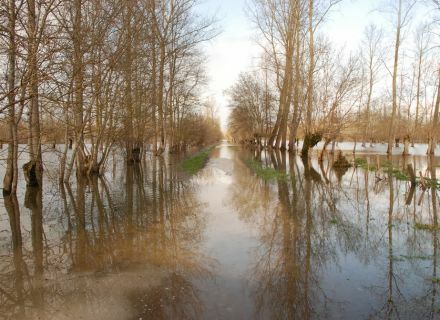 Here , flooding is called "évaille" (some also write "évaie" or "évaïe") by “Maraîchins”. I can only advise you to go to Vanneau-Irleau to observe this natural phenomenon. Water out of sight. Parcels, roads, are completely covered. We want to take a boat and go on an adventure ! Unlike many floods, the “évaille” is not perceived as a catastrophe. The water just takes the place that was hers before that Man landscape the Marais poitevin. The “maraîchins” say the Marais "breathes" !